Meet Peekaboo Bunny! He is an adorable softie on his own, but then flip the pockets to the front and he completely folds into his egg. Once you get your hands on him you won't be able to put him down! Busy hands will keep flipping him open and shut over and over. Includes regular and "lite" fill for feet - a luxe satin or a lattice for a faster stitchout and embossed look on plush fabrics. 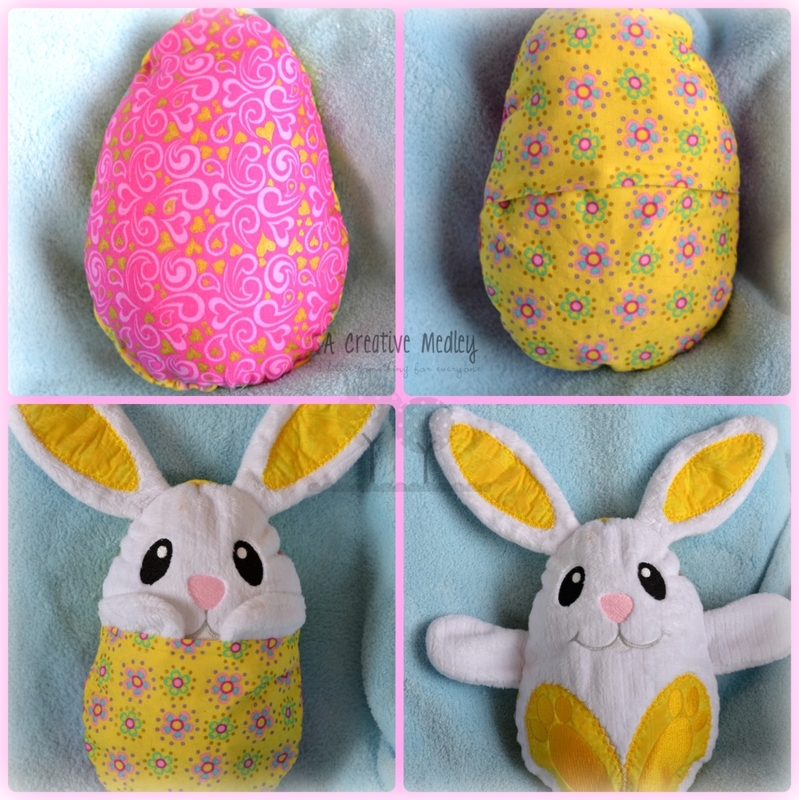 Bunny is made in 2 hoopings with only one small hole to sew closed. No other machine or hand sewing required. Meet Peekaboo Bunny! He is an adorable softie on his own, but then flip the pockets to the front and he completely folds into his egg. Once you get your hands on him you won't be able to put him down! Busy hands will keep flipping him open and shut over and over. Includes regular and "lite" fill for feet - a luxe satin or a lattice for a faster stitchout and embossed look on plush fabrics. 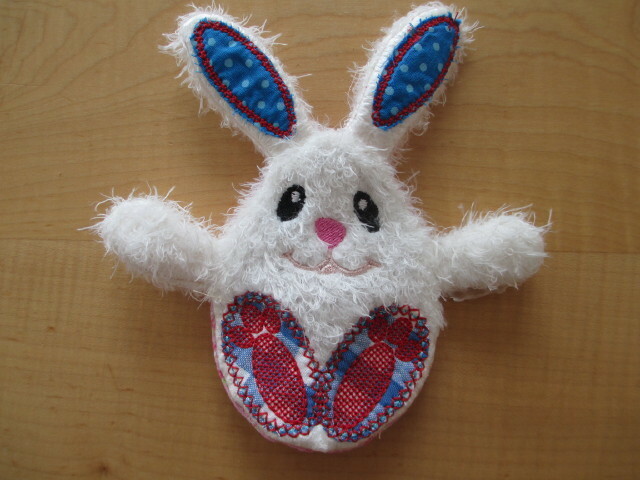 Bunny is made in 2 hoopings with only one small hole to sew closed. No other machine or hand sewing required. Finish Size: Body 3.02" x 3.90"
Finish Size: Ears and Arms 3.26" x 3.71"
Finish Size: Body 5.00" x 6.46"
Finish Size: Ears and Arms 7.06" x 4.05"
Finish Size: Body 6.00" x 7.75"
Finish Size: Ears and Arms 8.17" x 4.87"
Finish Size: Ears and Arms 9.54" x 5.68"
Finish Size: Body 7.00" x 9.04"
Finish Size: Body 7.75" x 10.01"
Finish Size: Body 6.81" x 8.80"
Finish Size: Ears and Arms 10.90" x 6.49"
Finish Size: Ears and Arms 7.20" x 8.26"